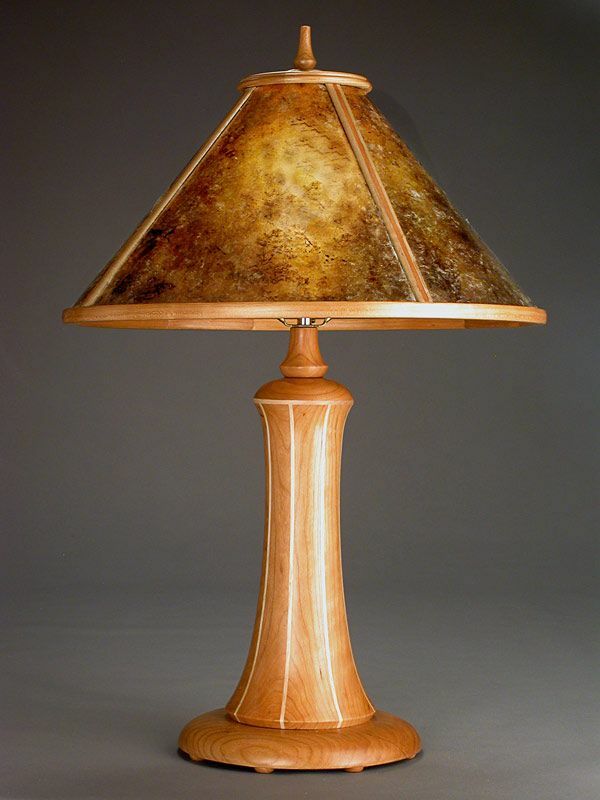 The lamp base features a segment turned body of black cherry (or other woods) with maple accents turned in a flared shape with a turned base on 8 button feet. 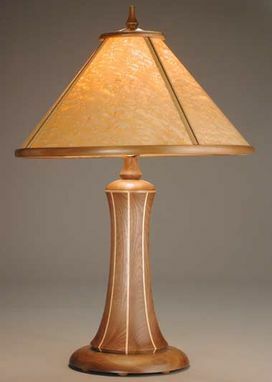 This table lamp is available with a 15" high base, or a 19" one. 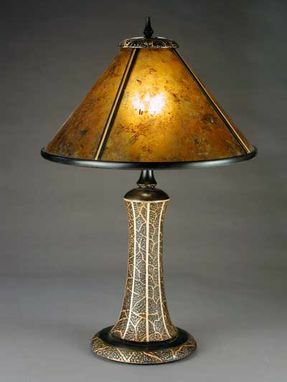 The conical shade is available in 17" diameter for the 15" base, and 21" diameter for the 19" base. The conical shade is framed in joined solid wood. The translucent panels are mica in two colors, or a stabilized birds eye maple veneer or maple burl veneer. A thin penetrating epoxy and fiberglass cloth give the veneer exceptional strength and stability. The effect is a rich translucent glow. A textured variation is available. The base and shade is ebonized cherry, hand incised in an free pattern to reveal the natural cherry on certain parts. It works well with amber mica or maple burl in the shade.